For citation purposes a sequence of bracketed numbers has been placed in the document corresponding to the original pagination. II. Money in a Free Society 1. The Value of Exchange How did money begin? Clearly, Robinson Crusoe had no need for money. He could not have eaten gold coins. Neither would Crusoe and Friday, perhaps exchanging fish for lumber, need to bother about money. But when society expands beyond a few families, the stage is already set for the emergence of money. To explain the role of money, we must go even further back, and ask: why do men exchange at all? Exchange is the prime basis of our economic life. Without exchanges, there would be no real economy and, practically, no society. Clearly, a voluntary exchange occurs because both parties expect to benefit. An exchange is an agreement between A and B to transfer the goods or services of one man for the goods and services of the other. Obviously, both benefit because each values what he receives in exchange more than what he gives up. When Crusoe, say, exchanges some fish for lumber, he values the lumber he "buys" more than the fish he "sells," while Friday, on the contrary, values the fish more than the lumber. From Aristotle to Marx, men have mistakenly  believed that an exchange records some sort of equality of value—that if one barrel of fish is exchanged for ten logs, there is some sort of underlying equality between them. Actually, the exchange was made only because each party valued the two products in different order. Why should exchange be so universal among mankind? Fundamentally, because of the great variety in nature: the variety in man, and the diversity of location of natural resources. Every man has a different set of skills and aptitudes, and every plot of ground has its own unique features, its own distinctive resources. From this external natural fact of variety come exchanges; wheat in Kansas for iron in Minnesota; one man's medical services for another's playing of the violin. Specialization permits each man to develop his best skill, and allows each region to develop its own particular resources. If no one could exchange, if every man were forced to be completely self-sufficient, it is obvious that most of us would starve to death, and the rest would barely remain alive. Exchange is the lifeblood, not only of our economy, but of civilization itself. What Has Government Done to Our Money? find each other at the same time. If A has a supply of eggs for sale, and B has a pair of shoes, how can they get together if A wants a suit? And think of the plight of an economics teacher who has to find an egg¦producer who wants to purchase a few economics lessons in return for his eggs! Clearly, any sort of civilized economy is impossible under direct exchange. II. Money in a Free Society 3. Indirect Exchange But man discovered, in the process of trial and error, the route that permits a greatly-expanding economy: indirect exchange. Under indirect exchange, you sell your product not for a good which you need directly, but for another good which you then, in turn, sell for the good you want. At first glance, this seems like a clumsy and round-about operation. But it is actually the marvelous instrument that permits civilization to develop. Consider the case of A, the farmer, who wants to buy the shoes made by B. Since B doesn't want his eggs, he finds what B does want—let's say butter. A then exchanges his eggs for C's butter, and sells the butter to B for shoes. He first buys the butter no: because he wants it directly, but because it will permit him to get his shoes. Similarly, Smith, a plow-owner, will sell his plow for one commodity which he can more readily divide and sell—say, butter—and will then exchange  parts of the butter for eggs, bread, clothes, etc. In both cases, the superiority of butter—the reason there is extra demand for it beyond simple consumption—is its greater marketability. If one good is more marketable than another—if everyone is confident that it will be more readily sold—then it will come into greater demand because it will be used as a medium of exchange. It will be the medium through which one specialist can exchange his product for the goods of other specialists. Now just as in nature there is a great variety of skills and resources, so there is a variety in the marketability of goods. Some goods are more widely demanded than others, some are more divisible into smaller units without loss of value, some more durable over long periods of time, some more transportable over large distances. All of these advantages make for greater marketability. It is clear that in every society, the most marketable goods will be gradually selected as the media for exchange. As they are more and more selected as media, the demand for them increases because of this use, and so they become even more marketable. The result is a reinforcing spiral: more marketability causes wider use as a medium which causes more marketability, etc. Eventually, one or two commodities are used as general media—in almost all exchanges—and these are called money. Historically, many different goods have been used as media: tobacco in colonial Virginia, sugar in the West Indies, salt in Abyssinia, cattle in ancient Greece, nails in Scotland, copper in ancient Egypt, and grain, beads, tea, cowrie shells, and fishhooks. Through the centuries, two commodities, gold and silver, have emerged as money in the free competition of  the market, and have displaced the other commodities. Both are uniquely marketable, are in great demand as ornaments, and excel in the other necessary qualities. In recent times, silver, being relatively more abundant than gold, has been found more useful for smaller exchanges, while gold is more useful for larger transactions. At any rate, the important thing is that whatever the reason, the free market has found gold and silver to be the most efficient moneys. Murray N. Rothbard This process: the cumulative development of a medium of exchange on the free market—is the only way money can become established. Money cannot originate in any other way, neither by everyone suddenly deciding to create money out of useless material, nor by government calling bits of paper "money." For embedded in the demand for money is knowledge of the money-prices of the immediate past; in contrast to directly-used consumers' or producers' goods, money must have preexisting prices on which to ground a demand. But the only way this can happen is by beginning with a useful commodity under barter, and then adding demand for a medium for exchange to the previous demand for direct use (e.g., for ornaments, in the case of gold ). Thus, government is powerless to create money for the economy; it can only be developed by the processes of the free market. A most important truth about money now emerges from our discussion: money is a commodity. Learning this simple lesson is one of the world's most important tasks. So often  have people talked about money as something much more or less than this. Money is not an abstract unit of account, divorceable from a concrete good; it is not a useless token only good for exchanging; it is not a "claim on society"; it is not a guarantee of a fixed price level. It is simply a commodity. It differs from other commodities in being demanded mainly as a medium of exchange. But aside from this, it is a commodity—and, like all commodities, it has an existing stock, it faces demands by people to buy and hold it, etc. Like all commodities, its "price"—in terms of other goods—is determined by the interaction of its total supply, or stock, and the total demand by people to buy and hold it. (People "buy" money by selling their goods and services for it, just as they "sell" money when they buy goods and services.) On the origin of money, cf. Carl Menger, Principles of Economics (Glencoe, Illinois: Free Press, 1950), pp. 257-71; Ludwig von Mises, Theory of Money and Credit, 3rd Ed. (New Haven Yale University Press, 1951), pp. 97-123. What Has Government Done to Our Money? money-prices on the market allows the development of a civilized economy, for only they permit businessmen to calculate economically. Businessmen can now judge how well they are satisfying consumer demands by seeing how the selling-prices of their products compare with the prices they have to pay productive factors (their "costs"). Since all these prices are expressed in terms of money, the businessmen can determine whether they are making profits or losses. Such calculations guide businessmen, laborers, and landowners in their search for monetary income on the market. Only such calculations can allocate resources to their most productive uses— to those uses that will most satisfy the demands of consumers. Many textbooks say that money has several functions: a medium of exchange, unit of account, or "measure of values," a "store of value," etc. But it should be clear that all of these functions are simply corollaries of the one great function: the medium of exchange. Because gold is a general medium, it is most marketable, it can be stored to serve as a medium in the future as well as the present, and all prices are  expressed in its terms. Because gold is a commodity medium for all exchanges, it can serve as a unit of account for present, and expected future, prices. It is important to realize that money cannot be an abstract unit of account or claim, except insofar as it serves as a medium of exchange. Money does not "measure" prices or values; it is the common denominator for their expression. In short, prices are expressed in money; they are not measured by it. II. Money in a Free Society 5. The Monetary Unit Now that we have seen how money emerged, and what it does, we may ask: how is the money-commodity used? Specifically, what is the stock, or supply, of money in society, and how is it exchanged? In the first place, most tangible physical goods are traded in terms of weight. Weight is the distinctive unit of a tangible commodity, and so trading takes place in terms of units like tons, pounds, ounces, grains, grams, etc. Gold is no exception. Gold, like other commodities, will be traded in units of weight. It is obvious that the size of the common unit chosen in trading makes no difference to the economist. One country, on the metric system, may prefer to figure in grams; England or America may prefer to reckon in grains or ounces. All units of weight are convertible into each other; one pound equals sixteen ounces; one ounce equals 437.5 grains or 28.35 grams, etc. Assuming gold is chosen as the money, the size of the gold—unit used in reckoning is immaterial to us. Jones may sell a coat for one gold ounce in America, or for 28.35 grams in France; both prices are identical. All this might seem like laboring the obvious, except that a great deal of misery in the world would have been avoided if people had fully realized these simple truths. Nearly everyone, for example, thinks of money as abstract units for something or other, each cleaving uniquely to a certain country. Even when countries were on the "gold standard," people thought in similar terms. American money was "dollars," French was "francs," German "marks," etc. All these were admittedly tied to gold, but all were considered sovereign and independent, and hence it was easy for countries to "go off the gold standard." Yet all of these names were simply names for units of weight of gold or silver. Murray N. Rothbard The British "pound sterling" originally signified a pound weight of silver. And what of the dollar? The dollar began as the generally applied name of an ounce weight of silver coined by a Bohemian Count named Schlick, in the sixteenth century. The Count of Schlick lived in Joachim's Valley or Jaochimsthal. The Count's coins earned a great reputation for their uniformity and fineness, and they were widely called "Joachim's thalers," or, finally, "thaler." The name "dollar" eventually emerged from "thaler." On the free market, then, the various names that units may have are simply definitions of units of weight. When we were "on the gold standard" before 1933, people liked to say that the "price of gold" was "fixed at twenty dollars per ounce of gold." But this was a dangerously misleading way of looking at our money. Actually, "the dollar" was defined as the name for (approximately) 1/20 of an ounce of gold. It was therefore misleading to talk about "exchange rates" of one country's currency for another. The "pound sterling" did not really "exchange" for five "dollars." The dollar was defined as 1/20 of a gold ounce, and the pound sterling was, at that time, defined as the name for 1/4 of a gold ounce, simply traded for 5/20 of a gold ounce. Clearly, such exchanges, and such a welter of names, were confusing and misleading. How they arose is shown below in the chapter on government meddling with money. In a purely free market, gold would simply be exchanged directly as "grams," grains, or ounces, and such confusing names as dollars, franc, etc., would be superfluous. Therefore, in this section, we will treat money as exchanging directly in terms of ounces or grams. Clearly, the free market will choose as the common unit whatever size of the money-commodity is most convenient. If platinum were the money, it would likely be traded in terms of fractions of an ounce; if iron were used, it would be reckoned in pounds or tons. Clearly, the size makes no difference to the economist. Even those goods nominally exchanging in terms of volume (bale, bushel, etc.) tacitly assume a standard weight per unit volume. One of the cardinal virtues of gold as money is its homogeneity—unlike many other commodities, it has no differences in quality. An ounce of pure gold equals any other ounce of pure gold the world over. Actually, the pound sterling exchanged for $4.87, but we are using $5 for greater convenience of calculation. What Has Government Done to Our Money? a business like any other, and prices for this service will be set in the usual manner. Most people agree that it is legitimate for jewelers to make ornaments out of raw gold, but they often deny that the same applies to the manufacture of coins. Yet, on the free market, coinage is essentially a business like any other. Many people believed, in the days of the gold standard, that coins were somehow more "really" money than plain, uncoined gold "bullion" (bars, ingots, or any other shape). It is true that 33 coins commanded a premium over bullion, but this was not caused by any mysterious virtue in the coins; it stemmed from the fact that it cost more to manufacture coins from bullion than to remelt coins back into bullion. Because of this difference, coins were more valuable on the market. Iron hoes have been used extensively as money, both in Asia and Africa. Murray N. Rothbard meet very narrow standards and specifications. The buyer of a 1/2 inch bolt must get a 1/2 inch bolt and not a mere 3/8 inch. Yet, business has not broken down. Few people suggest that the government must nationalize the machine-tool industry as part of its job of defending standards against fraud. The modern market economy contains an infinite number of intricate exchanges, most depending on definite standards of quantity and quality. But fraud is at a minimum, and that minimum, at least in theory, may be persecuted. So it would be if there were private coinage. We can be sure that a minter's customers, and his competitors, would be keenly  alert to any possible fraud in the weight or fineness of his coins. Champions of the government's coinage monopoly have claimed that money is different from all other commodities, because "Gresham's Law" proves that "bad money drives out good" from circulation. Hence, the free market cannot be trusted to serve the public in supplying good money. But this formulation rests on a misinterpretation of Gresham`s famous law. The law really says that "money overvalued artificially by government will drive out of circulation artificially undervalued money." Suppose, for example, there are one-ounce gold coins in circulation. After a few years of wear and tear, let us say that some coins weigh only .9 ounces. Obviously, on the free market, the worn coins would circulate at only ninety percent of the value of the full-bodied coins, and the nominal face-value of the former would have to be repudiated. If anything, it will be the "bad" coins that will be driven from the market. But suppose the government decrees that everyone must treat the worn coins as equal to new, fresh coins, and must accept them equally in payment of debts. What has the government really done? It has imposed price control by coercion on the "exchange rate" between the two types of coin. By insisting on the par-ratio when the worn coins should exchange at ten percent discount , it artificially overvalues the worn coins and undervalues new coins. Consequently, everyone will circulate the worn coins, and hoard or export the new. "Bad money drives out good money," then, not on the free market, but as the direct result of governmental intervention in the market. Despite never-ending harassment by governments, making conditions highly precarious, private coins have flourished many times in history. True to the virtual law that all innovations come from free individuals and not the state, the first coins were minted by private individuals and goldsmiths. In fact, when the government first began to monopolize the coinage, the royal coins bore the guarantees of private bankers, whom the public trusted far more, apparently, than they did the government. Privately¦minted gold coins circulated in California as late as 1848. See Herbert Spencer, Social Statics (New York: D. Appleton & Co.) 1890, p. 438. To meet the problem of wear-and-tear, private coiners might either set a time limit on their stamped guarantees of weight, or agree to recoin anew, either at the original or at the lower weight. We may not that in the free economy there will not be the compulsory standardization of coins that prevails when government monopolies direct the coinage. For historical examples of private coinage, see B.W. Barnard, "The use of Private Tokens for Money in the United States," Quarterly Journal of Economics (1916-17), pp. 617-26; Charles A. Conant, The Principles of Money and Banking (New York: Harper Bros., 1905) I, 127-32; Lysander Spooner, A Letter to Grover Cleveland (Boston: B.R. Tucker, 1886) p. 79; and J. Laurence Laughlin, A New Exposition of Money, Credit and Prices (Chicago: University of Chicago Press, 1931) I, 47-51. On Coinage, also see Mises, op. cit., pp. 65-67; and Edwin Cannan, Money 8th Ed. (London: Staples Press, Ltd., 1935) p. 33 ff. What Has Government Done to Our Money? gold-unit. There is no need to tamper with the market in order to alter the money supply that it determines. At this point, the monetary planner might object: "All right, granting that it is pointless to increase the money supply, isn't gold mining a waste of resources? Shouldn't the government keep the money supply constant, and prohibit new mining?" This argument might be plausible to those who hold no principled objections to government meddling, thought it would not convince the determined advocate of liberty. But the objection overlooks an important point: that gold is not only money, but is also, inevitably, a commodity. An increased supply of gold may not confer any monetary benefit, but it does confer a non-monetary benefit—i.e., it does increase the supply of gold used in consumption (ornaments, dental work, and the like) and in production (industrial work). Gold mining, therefore, is not a social waste at all. We conclude, therefore, that determining the supply of money, like all other goods, is best left to the free market. Aside from the general moral and economic advantages of freedom over coercion, no dictated quantity of money will do the work better, and the free market will set the production of gold in accordance with its relative ability to satisfy  the needs of consumers, as compared with all other productive goods. Gold mining is, of course, no more profitable than any other business; in the long-run, its rate of return will be equal to the net rate of return in any other industry. Murray N. Rothbard uncertainty. If people expect the price of money to fall in the near future, they will spend their money now while money is more valuable, thus "dishoarding" and reducing their demand for money. Conversely, if they expect the price of money to rise, they will wait to spend money later when it is more valuable, and their demand for cash will increase. People's demands for cash balances, then, rise and fall for good and sound reasons. Economists err if they believe something is wrong when money is not in constant, active "circulation." Money is only useful for exchange value, true, but it is not only useful at the actual moment of exchange. This truth has been often overlooked. Money is just as useful when lying "idle" in somebody's cash balance, even in a miser's "hoard." For that money is being held now in wait for possible future exchange—it supplies to its owner, right now, the usefulness  of permitting exchanges at any time—present or future—the owner might desire. It should be remembered that all gold must be owned by someone, and therefore that all gold must be held in people's cash balances. If there are 3000 tons of gold in the society, all 3000 tons must be owned and held, at any one time, in the cash balances of individual people. The total sum of cash balances is always identical with the total supply of money in the society. Thus, ironically, if it were not for the uncertainty of the real world, there could be no monetary system at all! In a certain world, no one would be willing to hold cash, so the demand for money in society would fall infinitely, prices would skyrocket without end, and any monetary system would break down. Instead of the existence of cash balances being an annoying and troublesome factor, interfering with monetary exchange, it is absolutely necessary to any monetary economy. It is misleading, furthermore, to say that money "circulates." Like all metaphors taken from the physical sciences, it connotes some sort of mechanical process, independent of human will, which moves at a certain speed of flow, or "velocity." Actually, money does not "circulate"; it is, from time, to time, transferred from one person's cash balance to another's. The existence of money, one again, depends upon people's willingness to hold cash balances. At the beginning of this section, we saw that "hoarding" never brings any loss to society. Now, we will see that movement in the price of money caused by changes in the demand for money yields a positive social benefit—as positive as any conferred by increased supplies of goods and services. We  have seen that the total sum of cash balances in society is equal and identical with the total supply of money. Let us assume the supply remains constant, say at 3,000 tons. Now, suppose, for whatever reason—perhaps growing apprehension—people's demand for cash balances increases. Surely, it is a positive social benefit to satisfy this demand. But how can it be satisfied when the total sum of cash must remain the same? Simply as follows: with people valuing cash balances more highly, the demand for money increases, and prices fall. As a result, the same total sum of cash balances now confers a higher "real" balance, i.e., it is higher in proportion to the prices of goods—to the work that money has to perform. In short, the effective cash balances of the public have increased. Conversely, a fall in the demand for cash will cause increased spending and higher prices. The public's desire for lower effective cash balances will be satisfied by the necessity for given total cash to perform more work. Therefore, while a change in the price of money stemming from changes in supply merely alters the effectiveness of the money¦unit and confers no social benefit, a fall or rise caused by a change in the demand for cash balances does yield a social benefit—for it satisfies a public desire for either a higher or lower proportion of cash balances to the work done by cash. On the other hand, an increased supply of money will frustrate public demand for a more effective sum total of cash (more effective in terms of purchasing power). What Has Government Done to Our Money? People will almost always say, if asked, that they want as much money as they can get! But what they really want is not more units of money—more gold ounces or "dollars"—but more effective units, i.e., greater command of goods and  services bought by money. We have seen that society cannot satisfy its demand for more money by increasing its supply—for an increased supply will simply dilute the effectiveness of each ounce, and the money will be no more really plentiful than before. People's standard of living (except in the non-monetary uses of gold) cannot increase by mining more gold. If people want more effective gold ounces in their cash balances, they can get them only through a fall in prices and a rise in the effectiveness of each ounce. At what point does a man's cash balance become a faintly disreputable "hoard," or the prudent man a miser? It is impossible to fix any definite criterion: generally, the charge of "hoarding" means that A is keeping more cash than B thinks is appropriate for A.
II. Money in a Free Society 10. Stabilize the Price Level? Some theorists charge that a free monetary system would be unwise, because it would not "stabilize the price level," i.e., the price of the money-unit. Money, they say, is supposed to be a fixed yardstick that never changes. Therefore, its value, or purchasing power, should be stabilized. Since the price of money would admittedly fluctuate on the free market, freedom must be overruled by government management to insure stability. Stability would provide justice, for example, to debtors and creditors, who will be sure of paying back dollars, or gold ounces, of the same purchasing power as they lent out. Yet, if creditors and debtors want to hedge against future changes in purchasing power, they can do so easily on the free market. When they make their contracts, they can agree that repayment will be made in a sum of money adjusted by some agreed-upon index number of changes in the value of money. The stabilizers have long advocated such measures,  but strangely enough, the very lenders and borrowers who are supposed to benefit most from stability, have rarely availed themselves of the opportunity. Must the government then force certain "benefits" on people who have already freely rejected them? Apparently, businessmen would rather take their chances, in this world of irremediable uncertainty, on their ability to anticipate the conditions of the market. After all, the price of money is no different from any other free prices on the market. They can change in response to changes in demand of individuals; why not the monetary price? Artificial stabilization would, in fact, seriously distort and hamper the workings of the market. As we have indicated, people would be unavoidably frustrated in their desires to alter their real proportion of cash balances; there would be no opportunity to change cash balances in proportion to prices. Furthermore, improved standards of living come to the public from the fruits of capital investment. Increased productivity tends to lower prices (and costs) and thereby distribute the fruits of 383 free enterprise to all the public, raising the standard of living of all consumers. Forcible propping up of the price level prevents this spread of higher living standards. Murray N. Rothbard Money, in short, is not a "fixed yardstick." It is a commodity serving as a medium for exchanges. Flexibility in its value in response to consumer demands is just as important and just as beneficial as any other free pricing on the market. How the government would go about this is unimportant at this point. Basically, it would involve governmentally-managed changes in the money supply. What Has Government Done to Our Money? restore the "purchasing power parity" of the exchange rate; as gold gets cheaper in terms of silver, silver prices of goods go up, and gold prices of goods go down. The free market, in short, is eminently orderly not only when money is free but even when there is more than one money circulating. What kind of "standard" will a free money provide? The important thing is that the standard not be imposed by government decree. If left to itself, the market may establish  gold as a single money ("gold standard"), silver as a single money ("silver standard"), or, perhaps most likely, both as moneys with freelyfluctuating exchange rates ("parallel standards"). For historical examples of parallel standards, see W. Stanley Jevons, Money and the Mechanism of Exchange (London: Kegan Paul, 1905) pp. 88-96, and Robert S. Lopez, "Back to Gold, 1252," The Economic History Review (December 1956) p. 224. Gold coinage was introduced into modern Europe almost simultaneously in Genoa and Florence. Florence instituted bimetallism, while "Genoa, on the contrary, in conformity to the principle of restricting state intervention as much as possible, did not try to enforce a fixed relation between coins of different metals," ibid. On the theory of parallel standards, see Mises, op. cit., pp. 179f. For a proposal that the United States go onto a parallel standard, by an official of the U.S. Assay Office, see J.W. Sylvester, Bullion Certificates as Currency (New York, 1882). What Has Government Done to Our Money? bank at all. The more people use actual gold instead of bank money, the less room there is for bank inflation. Suppose, however, that the banks form a cartel, and agree to pay out each other's receipts, and not call for redemption. And suppose further that bank money is in universal use. Are there any limits left on bank expansion? Yes, there remains the check of client confidence in the banks. As bank credit and the money supply expand further and further, more and more clients will get worried over the lowering of the reserve fraction. And, in a truly free society, those who know the truth about the real insolvency of the banking system will be able to form Anti-Bank  Leagues to urge clients to get their money out before it is too late. In short, leagues to urge bank runs, or the threat of their formation, will be able to stop and reverse the monetary expansion. None of this discussion is meant to impugn the general practice of credit, which has an important and vital function on the free market. In a credit transaction, the possessor of money (a good useful in the present) exchanges it for an IOU payable at some future date (the IOU being a "future good") and the interest charge reflects the higher valuation of present goods over future goods on the market. But bank notes or deposits are not credit; they are warehouse receipts, instantaneous claims to cash (e.g., gold) in the bank vaults. The debtor makes sure that he pays his debt when payment becomes due; the fractional reserve banker can never pay more than a small fraction of his outstanding liabilities. We turn, in the next chapter, to a study of the various forms of governmental interference in the monetary system—most of them designed, not to repress fraudulent issue, but on the contrary, to remove these and other natural checks on inflation. A third form of money-substitute will be token coins for very small change. These are, in effect, equivalent to bank notes, but "printed" on base metal rather than on paper. See Amasa Walker, The Science of Wealth, 3rd Ed. (Boston: Little, Brown, and Co., 1867) pp. 139-41; and pp. 126-232 for an excellent discussion of the problems of a fractional-reserve money. Perhaps a libertarian system would consider "general warrant deposits" (which allow the warehouse to return any homogeneous good to the depositor) as "specific warrant deposits," which, like bills of lading, pawn tickets, dock warrants, etc., establish ownership to certain specific earmarked objects. For, in the case of a general deposit warrant, the warehouse is tempted to treat the goods as its own property, instead of being the property of its customers. This is precisely what the banks have been doing. See Jevons, op. cit., pp. 207-12. Fraud is implicit theft, since it means that a contract has not been completed after the value has been received. In short, if A sells B a box labeled "corn flakes" and it turns out to be straw upon opening, A's fraud is really theft of B's property. Similarly, the issue of warehouse receipts for non-existent goods, identical with genuine receipts, is fraud upon those who possess claims to non-existent property. III. Government Meddling With Money 1. The Revenue of Government Governments, in contrast to all other organizations, do not obtain their revenue as payment for their services. Consequently, governments face an economic problem different from that of everyone else. Private individuals who want to acquire more goods and services from others must produce and sell more of what others want. Governments need only find some method of expropriating more goods without the owner's consent. In a barter economy, government officials can only expropriate resources in one way: by seizing goods in kind. In a monetary economy they will find it easier to seize monetary assets, and then use the money to acquire goods and services for government, or else pay the money as subsidies to favored groups. Such seizure is called taxation. Taxation, however, is often unpopular, and, in less temperate days, frequently precipitated revolutions. The emergence of money, while a boon to the human race, also opened a more subtle route for governmental expropriation of resources. On the free market, money can be acquired by producing and selling goods and services that people want, or by mining (a business no more profitable, in the long run, than any other). But if government can find ways to engage in counterfeiting—the creation of new money out of thin air—it can quickly produce its own money without taking the trouble to sell services or mine gold. It can then appropriate resources slyly and almost unnoticed, without rousing the hostility touched off by taxation. In fact, counterfeiting can create in its very victims the blissful illusion of unparalleled prosperity. Counterfeiting is evidently but another name for inflation—both creating new "money" that is not standard gold or silver, and both function similarly. And now we see why governments are inherently inflationary: because inflation is a powerful and subtle means for government acquisition of the public's resources, a painless and all the more dangerous form of taxation. Direct seizure of goods is therefore not now as extensive as monetary expropriation. Instances of the former still occurring are "due process" seizure of land under eminent domain, quartering of troops in an occupied country, and especially compulsory confiscation of labor service (e.g., military conscription, compulsory jury duty, and forcing business to keep tax records and collect withholding taxes). What Has Government Done to Our Money? say: "I will buy now, though prices are `high,' because if I wait, prices will go up still further." As a result, the demand for money now falls and prices go up more, proportionately, than the increase in the money supply. At this point, the government is often called upon to "relieve the money shortage" caused by the accelerated price rise, and it inflates even faster. Soon, the country reaches the stage of the "crack-up boom," when people say: "I must buy anything now— anything to get rid of money which depreciates on my hands." The supply of money skyrockets, the demand plummets, and prices rise astronomically. Production falls sharply, as people spend more and more of their time finding ways to get rid of their money. The monetary system has, in effect, broken down completely, and the economy reverts to other moneys, if they are attainable—other metal, foreign currencies if this is a one-country inflation, or even a return to barter conditions. The monetary system has broken down under the impact of inflation. This condition of hyper-inflation is familiar historically in the assignats of the French Revolution, the Continentals of the American Revolution, and especially the German crisis of 1923, and the Chinese and other currencies after World War II. A final indictment of inflation is that whenever the newly issued money is first used as loans to business, inflation causes the dread "business cycle." This silent but deadly process, undetected for generations, works as follows: new money is issued by the banking system, under the aegis of government, and loaned to business. To businessmen, the new funds seem to be genuine investments, but these funds do not, like free market investments, arise from voluntary savings. The new money is invested by businessmen in various projects, and paid out to workers and other factors as higher wages and prices. As the new money filters down to the whole economy, and the people tend to reestablish their old voluntary consumption/saving proportions. In short, if people wish to save and invest about 20% of their incomes and consume the rest, new bank money loaned to business at first makes the saving proportion look higher. When the new money seeps down to the public, it reestablishes its old 20-80 proportion, and many investments are now revealed to be wasteful. Liquidation of the wasteful investments of the inflationary boom constitutes the depression phase of the business cycle. It has become fashionable to scoff at the concern displayed by "conservatives" for the "widows and orphans" hurt by inflation. And yet this is precisely one of the chief problems that must be faced. Is it really "progressive" to rob widows and orphans and to use the proceeds to subsidize farmers and armament workers? This error will be greatest in those firms with the oldest equipment, and in the most heavily capitalized industries. An undue number of firms, therefore, will pour into these industries during an inflation. for further discussion of this accounting¦cost error, see W.T. Baxter, "The Accountant's Contribution to the Trade Cycle," Economica (May, 1955), pp. 99-112. In these days of rapt attention to "cost-of-living indexes" (e.g., escalator-wage contracts) there is strong incentive to increase prices in such a way that the change will not be revealed in the index. On the German example, see Costantino Bresciani-Turroni, The Economics of Inflation (London: George Allen and Unwin, Ltd., 1937). For a further discussion, see Murray N. Rothbard, America's Great Depression (Princeton: D. Van Nostrand Co., 1963), Part I.
Murray N. Rothbard abruptly, few people would accept the government's money. Even in modern times, many people in "backward countries" have simply refused to accept paper money, and insist on trading only in gold. Governmental incursion, therefore, must be far more subtle and gradual. Until a few centuries ago, there were no banks, and therefore the government could not use the banking engine for massive inflation as it can today. What could it do when only gold and silver circulated? The first step, taken firmly by every sizeable government, was to seize an absolute monopoly of the minting business. That was the indispensable means of getting control of the coinage supply. The king's or the lord's picture was stamped upon coins, and the myth was propagated that coinage is an essential prerogative of royal or baronial "sovereignty." The mintage monopoly allowed government to supply whatever denominations of coin it, and not the public, wanted. As a result, the variety of coins on the market was forcibly reduced. Furthermore, the mint could now charge a high price, greater than costs ("seigniorage"), a price just covering costs ("brassage"), or supply coins free of charge. Seigniorage was a monopoly price, and it imposed a special burden on the conversion of bullion to coin; gratuitous coinage, on the other hand, overstimulated the manufacture of coins from bullion, and forced the general taxpayer to pay for minting services utilized by others. Having acquired the mintage monopoly, governments fostered the use of the name of the monetary unit, doing their best to separate the name from its true base in the underlying weight of the coin. This, too, was a highly important step, for  it liberated each government from the necessity of abiding by the common money of the world market. Instead of using grains or grams of gold or silver, each State fostered its own national name in the supposed interests of monetary patriotism: dollars, marks, francs, and the like. The shift made possible the pre¦eminent means of governmental counterfeiting of coin: debasement. III. Government Meddling With Money 4. Debasement Debasement was the State's method of counterfeiting the very coins it had banned private firms from making in the name of vigorous protection of the monetary standard. Sometimes, the government committed simple fraud, secretly diluting gold with a base alloy, making shortweight coins. More characteristically, the mint melted and recoined all the coins of the realm, giving the subjects back the same number of "pounds" or "marks," but of a lighter weight. The leftover ounces of gold or silver were pocketed by the King and used to pay his expenses. In that way, government continually juggled and redefined the very standard it was pledged to protect. The profits of debasement were haughtily claimed as "seniorage" by the rulers. Rapid and severe debasement was a hallmark of the Middle Ages, in almost every country in Europe. Thus, in 1200 A.D., the French livre tournois was defined at ninety-eight grams of fine silver; by 1600 A.D. it signified only eleven grams. A striking case is the dinar, a coin of the Saracens in Spain. The dinar originally consisted of sixty-five gold grains, when first coined at the end of the seventh century. The Saracens were notably sound in monetary matters, and by  the middle of the twelfth century, the dinar was still sixty grains. At that point, the Christian kings conquered Spain, and by the early thirteenth century, the dinar (now called maravedi) was reduced to fourteen grains. Soon the gold coin was too light to circulate, and it was converted into a silver coin weighing twenty-six grains of silver. What Has Government Done to Our Money? This, too, was debased, and by the mid-fifteenth century, the maravedi was only 1.5 silver grains, and again too small to circulate. On debasement, see Elgin Groseclose, Money and Man (New York: Frederick Ungar, 1961), pp. 57-76. Murray N. Rothbard gold or silver overvalued. Gold then disappears into cash balance, black market, or exports, when silver flows in from abroad and comes out of cash balances to become the only circulating currency in Ruritania. For centuries, all countries struggled with calamitous effects of suddenly alternating metallic currencies. First silver would flow in and gold disappear; then, as the relative market ratios changed, gold would pour in and silver disappear. Finally, after weary centuries of bimetallic disruption, governments picked one metal as the standard, generally gold. Silver was relegated to "token coin" status, for small denominations, but not at full weight. (The minting of token coins was also monopolized by government, and, since not backed 100% by gold, was a means of expanding the money  supply.) The eradication of silver as money certainly injured many people who preferred to use silver for various transactions. There was truth in the war-cry of the bimetallists that a "crime against silver" had been committed; but the crime was really the original imposition of bimetallism in lieu of parallel standards. Bimetallism created an impossibly difficult situation, which the government could either meet by going back to full monetary freedom (parallel standards) or by picking one of the two metals as money (gold or silver standard). Full monetary freedom, after all this time, was considered absurd and quixotic; and so the gold standard was generally adopted. B. Legal Tender How was the government able to enforce its price controls on monetary exchange rates? By a device known as legal tender laws.Money is used for payment of past debts, as well as for present "cash" transactions. With the name of the country's currency now prominent in accounting instead its actual weight, contracts began to pledge payment in certain amounts of "money." Legal tender laws dictated what that "money" could be. When only the original gold or silver was designated "legal tender," people considered it harmless, but they should have realized that a dangerous precedent had been set for government control of money. If the government sticks to the original money, its legal tender law is superfluous and unnecessary. On the other hand, the government  may declare as legal tender a lower-quality currency side-by-side with the original. Thus, the government may decree worn coins as good as new ones in paying off debt, of silver and gold equivalent to each other in the fixed ratio.The legal tender laws then bring Gresham's Law into being. When legal tender laws enshrine an overvalued money, they have another effect; they favor debtors at the expense of creditors. For then debtors are permitted to pay back their debts in a much poorer money than they had borrowed, and creditors are swindled out of the money rightfully theirs. This confiscation of creditors property, however, only benefits outstanding debtors; future debtors will be burdened by the scarcity of credit generated by the memory of government spoilation of creditors. Many debasements, in fact, occurred covertly, with governments claiming that they were merely bringing the official gold-silver ratio into closer alignment with the market. "The ordinary law of contract does all that is necessary without any law giving special functions to particular forms of currency. We have adopted a gold sovereign as our unit.... If I promise to pay 100 sovereigns, it needs no special currency law of legal tender to say that I am bound to pay 100 sovereigns, and that, if required to pay the 100 sovereigns, I cannot discharge my obligation by paying anything else." Lord Farrer, Studies in Currency 1898 (London: Macmillan and Co, 1898), p. 43. On the legal tender laws, see also Mises, Human Action, (New Haven: Yale University Press, 1949), pp. 32n. 444. III. Government Meddling With Money 6. Summary: Government and Coinage The compulsory minting monopoly and legal tender legislation were the capstones in governments' drive to gain control of their nations' money. Bolstering these measures, each government moved to abolish the circulation of all coins minted by rival governments. Within each country, only the coin of its own sovereign could now be used; between countries,  unstamped gold and silver bullion was used in exchange. This further severed the ties between the various parts of the world market, further sundering one country from another, and disrupting the international division of labor. Yet, purely hard money did not leave too much scope for governmental inflation. There were limits to the debasing that governments could engineer, and the fact that all countries used gold and silver placed definite checks on the control of each government over its own territory. The rulers were still held in check by the discipline of an international metallic money. Governmental control of money could only become absolute, and its counterfeiting unchallenged, as money-substitutes came into prominence in recent centuries. The advent of paper money and bank deposits, an economic boon when backed fully by gold or silver, provided the open sesame for government's road to power over money, and thereby over the entire economic system. The use of foreign coins was prevalent in the Middle Ages and in the United States down to the middle of the 19th century. Murray N. Rothbard their receipts, at the same time forcing their own debtors to pay when their loans fall due. The usual name for this is a "suspension of specie payments." A more accurate name would be "license for theft;" for what else can we call a governmental permission to continue in business without fulfilling one's contract? In the United States, mass suspension of specie payment in times of bank troubles became almost a tradition. It started in the War of 1812. Most of the country's banks were located in New England, a section unsympathetic to America's entry into the war. These banks refused to lend for war purposes, and so the government borrowed from new banks in the other states. These banks issued new paper money to make the loans. The inflation was so great that calls for redemption flooded into the new banks, especially from the conservative  nonexpanding banks of New England, where the government spent most of its money on war goods. As a result, there was a mass "suspension" in 1814, lasting for over two years (well beyond the end of the war); during that time, banks sprouted up, issuing notes with no need to redeem in gold or silver. This suspension set a precedent for succeeding economic crises; 1819, 1837, 1857, and so forth. As a result of this tradition, the banks realized that they need have no fear of bankruptcy after an inflation, and this, of course, stimulated inflation and "wildcat banking." Those writers who point to nineteenth century America as a horrid example of "free banking," fail to realize the importance of this clear dereliction of duty by the states in every financial crisis. The governments and the banks, persuaded the public of the justice of their acts. In fact, anyone trying to get his money back during a crisis was considered "unpatriotic" and a despoiler of his fellowmen, while banks were often commended for patriotically bailing out the community in a time of trouble. Many people, however, were bitter at the entire proceeding and from this sentiment grew the famous "hard money" Jacksonian movement that flourished before the Civil War. Despite its use in the United States, such periodic privilege to banks did not catch hold as a general policy in the modern world. It was a crude instrument, too sporadic (it could not be permanent since few people would patronize  banks that never paid their obligations)—and, what's more, it provided no means of government control over the banking system. What governments want, after all, is not simply inflation, but inflation completely controlled and directed by themselves. There must be no danger of the banks running the show. And so, a far subtler, smoother, more permanent method was devised, and sold to the public as a hallmark of civilization itself—Central Banking. See Horace White, Money and Banking (4th Ed., Boston: Ginn and Co., 1911), pp. 322-327. Murray N. Rothbard would always act as a "lender of last resort" to the banks-- i.e., that the Bank would stand ready to lend money to any bank in trouble, especially when many banks are called upon to pay their obligations. Governments also continued to prop up banks by discouraging bank "runs" (i.e., cases where many clients suspect chicanery and ask to get back their property). Sometimes, they will permitted banks to suspend payment, as in the compulsory bank "holidays" of 1933. Laws were passed prohibiting public encouragement of bank runs, and, as in the 1929 depression in America, government campaigned against "selfish" and "unpatriotic" gold "hoarders." America finally "solved" its pesky problem of bank failures when it adopted Federal Deposit Insurance in 1933. The Federal Deposit Insurance Corporation has only a negligible proportion of "backing" for the bank deposits it "insures." But the public has been given the impression (and one that may well be accurate) that the federal government would stand ready to print enough new money to redeem all of the insured deposits. As a result, the government has managed to transfer its own command of vast public confidence to the entire banking system, as well as to the Central Bank. We have seen that, by setting up a Central Bank, governments have greatly widened, if not removed, two of the three  main checks on bank credit inflation. What of the third check—the problem of the narrowness of each bank's clientele? Removal of this check is one of the main reasons for the Central Bank's existence. In a free-banking system , inflation by any one bank would soon lead to demands for redemption by the other banks, since the clientele of any one bank is severely limited. But the central Bank, by pumping reserves into all the banks, can make sure that they can all expand together, and at a uniform rate. If all banks are expanding, then there is no redemption problem of one bank upon another, and each bank finds bank expansion of one bank upon another, and each bank finds that its clientele is really the whole country. In short, the limits on bank expansion are immeasurably widened, from the clientele of each bank to that of the whole banking system. Of course, this means that no bank can expand further than the Central Bank desires. Thus, the government has finally achieved the power to control and direct the inflation of the banking system. In addition to removing the checks on inflation, the act of establishing a Central Bank has a direct inflationary impact. Before the Central Bank began, banks kept their reserves in gold; now gold flows into the Central Bank in exchange for deposits with the Bank, which are now reserves for the commercial banks. But the Bank itself keeps only a fractional reserve of gold to its own liabilities! Therefore, the act of establishing a Central Bank greatly multiplies the inflationary potential of the country. In the United States, the banks were forced by law to join the Federal Reserve System, and to keep their accounts with the Federal Reserve Banks. (Those "state banks" that are not members of the Federal Reserve System keep their reserves with member banks.) The establishment of the Federal reserve in this way increased three-fold the expansive power of the banking system of the United States. The Federal reserve System also reduced the average legal reserve requirements of all banks from approximately 21% in 1913 to 10% by 1917, thus further doubling the inflationary potential—a combined potential inflation of six-fold. See Chester A. Phillips, T.F. McManus, and R.W. Nelson, Banking and the Business Cycle (New York: The MacMillan Co., 1937) pp. 23 ff. What Has Government Done to Our Money? 9. Central Banking Directing the Inflation Precisely how does the Central Bank go about its task of regulating the private banks? By controlling the banks' "reserves"—their deposit accounts at the Central Bank. Banks tend to keep a certain ratio of reserves to their total deposit liabilities, and in the United States government control is made easier by imposing a legal minimum ratio on the bank. The Central Bank can stimulate inflation, then, by pouring reserves into the banking system, and also by lowering the reserve ratio, thus permitting a nationwide bank credit-expansion. If the banks keep a reserve/deposit ratio of 1:10, then "excess reserves" (above the required ratio) of ten million dollars will permit and encourage a nationwide bank inflation of 100 million. Since banks profit by credit expansion, and since government has made it almost impossible for them to fail, they will usually try to keep "loaned up" to their allowable maximum. The Central Bank adds to the quantity of bank reserves by buying assets on the market. What happens, for example, if the Bank buys an asset (any asset) from Mr. Jones, valued at $1,000? The Central Bank writes out a check to Mr. Jones for $1,000 to pay for the asset. The Central Bank does not keep individual accounts, so Mr. Jones takes the check and deposits it in his bank. Jones' bank credits him with a $1,000 deposit, and presents the check to the Central Bank, which  has to credit the bank with an added $1,000 in reserves. This $1,000 in reserves permits a multiple bank credit expansion, particularly if added reserves are in this way poured into many banks across the country. If the Central Bank buys an asset from a bank directly, then the result is even clearer; the bank adds to its reserves, and a base for multiple credit expansion is established. Undoubtedly, the favorite asset for Central Bank purchase has been government securities. In that way, the government assures a market for its own securities. Government can easily inflate the money supply by issuing new bonds, and then orders its Central Bank to purchase them. Often the Central Bank undertakes to support the market price of government securities at a certain level, thereby causing a flow of securities into the Bank, and a consequent perpetual inflation. Besides buying assets, the Central Bank can create new bank reserves in another way: by lending them. The rate which the Central Bank charges the banks for this service is the "rediscount rate." Clearly, borrowed reserves are not as satisfactory to the banks as reserves that are wholly theirs, since there is now pressure for repayment. Changes in the rediscount rate receive a great deal of publicity, but they are clearly of minor importance compared to the movements in the quantity of bank reserves and the reserve ratio. When the Central Bank sells assets to the banks or the public, it lowers bank reserves, and causes pressure for credit contraction and deflation—lowering—of the money supply. We have seen, however, that governments are inherently inflationary; historically, deflationary action by the government  has been negligible and fleeting. One thing is often forgotten: deflation can only take place after a previous inflation; only pseudo-receipts, not gold coins, can be retired and liquidated. What Has Government Done to Our Money? of the Civil War period, the French assignats, were all fiat currencies issued by the Treasuries. But whether Treasury or Central Bank, the effect of fiat issue is the same: the monetary standard is now at the mercy of the government, and bank deposits are redeemable simply in government paper. See Melchior Palyi, "The Meaning of the Gold Standard," The Journal of Business (July 1941) pp. 299304. Murray N. Rothbard It became clear to governments that they could not afford to allow people to own and keep their gold. Government could never cement its power over a nation's currency, if the people, when in need, could repudiate the fiat paper and turn to gold for its money. Accordingly, governments have outlawed gold holding by their citizens. Gold, except for a negligible amount permitted for industrial and ornamental purposes, has generally been nationalized. To ask for return of the public's confiscated property is now considered hopelessly backward and old-fashioned. Frank W. Taussig, Principles of Economics, 2nd Ed. (New York: The MacMillan Company, 1916) I, 312. Also see J.K. Upton, Money in Politics, 2nd Ed. (Boston: Lothrop Publishing Company, 1895) pp. 69 ff. For an incisive analysis of the steps by which the American government confiscated the people's gold and went off the gold standard in 1933, see Garet Garrett, The People's Pottage (Caldwell, Idaho: The Caxton Printers, 1953) pp. 15-41. What Has Government Done to Our Money? this state of affairs, for (a) it gave them an excuse to clamor for American dollar aid to "relieve the dollar shortage in the free world," and (b) it gave them an excuse to ration imports from America. Undervaluing dollars causes imports from America to be artificially cheap and exports to America artifically expensive [Ed. Note: this sentence was truncated in the 4th edition]. The result: a trade deficit and worry over the dollar drain. The foreign government then stepped in to tell its people sadly that it is unfortunately necessary for it to ration imports: to issue license to importers, and determine what is imported "according to need." To ration imports, many governments confiscate the foreign exchange holdings of their citizens, backing up an artificially high valuation on domestic currency by forcing these citizens to accept far less domestic money than they could have acquired on the free market. Thus, foreign exchange, as well as gold, has been nationalized, and exporters penalized. In countries where foreign trade is vitally important, this government "exchange control" imposes virtual socialization on the economy. An artificial exchange rate thus gives countries an excuse for demanding foreign aid and for imposing socialist controls over trade. At present, the world is enmeshed in a chaotic welter of exchange controls, currency blocs, restrictions on convertibility, and multiple systems of rates. In some countries a "black  market" in foreign exchange is legally encouraged to find out the true rate, and multiple discriminatory rates are fixed for different types of transactions. Almost all nations are on a fiat standard, but they have not had the courage to admit this outright, and so they proclaim some such fiction as "restricted gold bullion standard." Actually, gold is used not as a true definition for currencies, but as a convenience by governments: (a) for fixing a currency's rate with respect to gold makes it easy to reckon any exchange in terms of any other currency; and (b) gold is still used by the different governments. Since exchange rates are fixed, some item must move to balance every country's payments, and gold is the ideal candidate. In short gold is no longer the world's money; it is now the governments' money, used in payments to one another. Clearly, the inflationists' dream is some sort of world paper money, manipulated by a world government and Central Bank, inflating everywhere at a common rate. This dream still lies in the dim future, however; we are still far from world government, and national currency problems have so far been too diverse and conflicting to permit meshing into a single unit. Yet, the world has moved steadily in this direction. The International Monetary Fund, for example, is basically an institution designed to bolster national exchange control in general, and foreign undervaluation of the dollar in particular. The Fund requires each member country to fix its exchange rate, and then to pool gold and dollars to lend to governments that find themselves short of hard currency. In the last few years, the dollar has been overvalued in relation to other currencies, and hence the dollar drains from the U.S. For an excellent discussion of foreign exchange and exchange controls, see George Winder, The Free Convertibility of Sterling (London: The Batchworth Press, 1955). IV. The Monetary Breakdown of the West Since the first edition of this book was written, the chickens of the monetary interventionalists have come home to roost. The world monetary crisis of FebruaryMarch, 1973, followed by the dollar plunge of July, was only the latest of an accelerating series of crises which provide a virtual textbook illustration of our analysis of the inevitable consequences of government intervention in the monetary system. After each crisis is temporarily allayed by a "Band-Aid" solution, the governments of the West loudly announce that the world monetary system has now been placed on sure footing, and that all the monetary crises have been solved. President Nixon went so far as to call the Smithsonian agreement of December 18, 1971, the "greatest monetary agreement in the history of the world," only to see this greatest agreement collapse in a little over a year. Each "solution" has crumbled more rapidly than its predecessor. To understand the current monetary chaos, it is necessary to trace briefly the international monetary developments  of the twentieth century, and to see how each set of unsound inflationist interventions has collapsed of its own inherent problems, only to set the stage for another round of interventions. The twentieth century history of the world monetary order can be divided into nine phases. Let us examine each in turn. 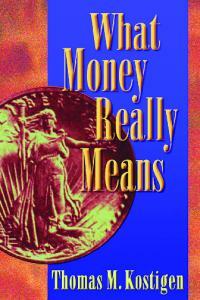 Murray N. Rothbard market as the best money; as the commodity providing the most stable and desirable monetary medium. Above all, the supply and provision of gold was subject only to market forces, and not to the arbitrary printing press of the government. The international gold standard provided an automatic market mechanism for checking the inflationary potential of government. It also provide an automatic mechanism for keeping the balance of payments of each country in equilibrium. As the philosopher and economist David Hume pointed out in the mid-eighteenth century, if one nation, say France, inflates its supply of paper francs, its prices rise; the increasing incomes in paper francs stimulates imports from abroad, which are also spurred by the fact that prices of imports are now relatively cheaper than prices at home. At the same time, the higher prices at home discourage exports abroad; the result is a deficit in the balance of payments, which must be paid for by foreign countries cashing in francs for gold. The gold outflow means that France must eventually contract its inflated paper francs in order to prevent a loss of all of its gold. If the inflation has taken the form of bank deposits, then the French banks have to contract their loans and deposits in  order to avoid bankruptcy as foreigners call upon the French banks to redeem their deposits in gold. The contraction lowers prices at home, and generates an export surplus, thereby reversing the gold outflow, until the price levels are equalized in France and in other countries as well. It is true that the interventions of governments previous to the nineteenth century weakened the speed of this market mechanism, and allowed for a business cycle of inflation and recession within this gold standard framework. These interventions were particularly: the governments' monopolizing of the mint, legal tender laws, the creation of paper money, and the development of inflationary banking propelled by each of the governments. But while these interventions slowed the adjustments of the market, these adjustments were still in ultimate control of the situation. So while the classical gold standard of the nineteenth century was not perfect, and allowed for relatively minor booms and busts, it still provided us with by far the best monetary order the world has ever known, an order which worked, which kept business cycles from getting out of hand, and which enabled the development of free international trade, exchange, and investment. For a recent study of the classical gold standard, and a history of the early phases of its breakdown in the twentieth century, see Melchior Palyi, The Twilight of Gold, 1914-1936 (Chicago: Henry Regnery, 1972). What Has Government Done to Our Money? supply of dollars enough to endanger redeemability. But, apart from the U.S., the world suffered what some economists now hail as the Nirvana of freely-fluctuating exchange rates (now called "dirty floats") competitive devaluations, warring currency blocks, exchange controls, tariffs and quotas, and the breakdown of international trade and investment. The inflated pounds, francs, marks, etc., depreciated in relation to gold and the dollar; monetary chaos abounded throughout the world. In those days there were, happily, very few economists to hail this situation as the monetary ideal. It was generally recognized that Phase II was the threshold to international disaster, and politicians and economists looked around for ways to restore the stability and freedom of the classical gold standard. Murray N. Rothbard degree of paper and bank inflation. But furthermore, Britain redeemed pounds not merely in gold, but also in dollars; while the other countries redeemed their currencies not in gold, but in pounds. And most of these countries were induced by Britain to return to gold at overvalued parities. the result was a pyramiding of U.S. on gold, of British pounds on dollars, and of other European currencies on pounds— the "gold-exchange standard," with the dollar and the pound as the two "key currencies." Now when Britain inflated, and experienced a deficit in its balance of payments, the gold standard mechanism did  not work to quickly restrict British inflation. For instead of other countries redeeming their pounds for gold, they kept the pounds and inflated on top of them. Hence Britain and Europe were permitted to inflate unchecked, and British deficits could pile up unrestrained by the market discipline of the gold standard. As for the United States, Britain was able to induce the U.S. to inflate dollars so as not to lose many dollar reserves or gold to the United States. The point of the gold-exchange standard is that it cannot last; the piper must eventually be paid, but only in a disastrous reaction to the lengthy inflationary boom. As sterling balances piled up in France, the U.S., and elsewhere, the slightest loss of confidence in the increasingly shaky and jerry-built inflationary structure was bound to lead to general collapse. This is precisely what happened in 1931; the failure of inflated banks throughout Europe, and the attempt of "hard money" France to cash in its sterling balances for gold, led Britain to go off the gold standard completely. Britain was soon followed by the other countries of Europe. On the crucial British error and its consequence in leading to the 1929 depression, see Lionel Robbins, The Great Depression ( New York: MacMillan, 1934). What Has Government Done to Our Money? the Milton Friedman-Chicago School monetary scheme for freely-fluctuating fiat currencies. For what the Friedmanites would do—in the name of the free market—is to cut all ties to gold completely, leave the absolute control of each national currency in the hands of its central government issuing fiat paper as legal tender—and then advise each government to allow its currency to fluctuate freely with respect to all other fiat currencies,  as well as to refrain from inflating its currency too outrageously. The grave political flaw is to hand total control of the money supply to the nation-state, and then to hope and expect that the state will refrain from using that power. And since power always tends to be used, including the power to counterfeit legally, the naivete, as well as the statist nature, of this type of program should be starkly evident. And so, the disastrous experience of Phase IV, the 1930s world of fiat paper and economic warfare, led the U.S. authorities to adopt as their major economic war aim of World War II the restoration of a viable international monetary order, an order on which could be built a renaissance of world trade and the fruits of the international division of labor. Cordell Hull, Memoirs (New York, 1948) I, 81. Also see Richard N. Gardner, Sterling-Dollar Conspiracy (Oxford: Clarendon Press, 1956) p. 141. Murray N. Rothbard the export surplus enjoyed by the undervalued American dollar was to be partly financed by the hapless American taxpayer in the form of foreign aid. There being plenty of room for inflation before retribution could set in, the United States government embarked on  its post-war policy of continual monetary inflation, a policy it has pursued merrily ever since. By the early 1950s, the continuing American inflation began to turn the tide the international trade. For while the U.S. was inflating and expanding money and credit, the major European governments, many of them influenced by "Austrian" monetary advisers, pursued a relatively "hard money" policy (e.g., West Germany, Switzerland, France, Italy). Steeply inflationist Britain was compelled by its outflow of dollars to devalue the pound to more realistic levels (for a while it was approximately $2.40). All this, combined with the increasing productivity of Europe, and later Japan, led to continuing balance of payments deficits with the United States. As the 1950s and 1960s wore on, the U.S. became more and more inflationist, both absolutely and relatively to Japan and Western Europe. But the classical gold standard check on inflation— especially American inflation—was gone. For the rules of the Bretton Woods game provided that the West European countries had to keep piling upon their reserve, and even use these dollars as a base to inflate their own currency and credit. But as the 1950s and 1960s continued, the harder-money countries of West Europe (and Japan) became restless at being forced to pile up dollars that were now increasingly overvalued instead of undervalued. As the purchasing power and hence the true value of dollars fell, they became increasingly unwanted by foreign governments. But they were locked into a system that was more and more of a nightmare. The American reaction to the European complaints, headed by France and DeGaulle's major monetary adviser, the classical gold-standard economist Jacques Rueff, was merely scorn and  brusque dismissal. American politicians and economists simply declared that Europe was forced to use the dollar as its currency, that it could do nothing about its growing problems, and that therefore the U.S. could keep blithely inflating while pursuing a policy of "benign neglect" toward the international monetary consequences of its own actions. But Europe did have the legal option of redeeming dollars in gold at $35 an ounce. And as the dollar became increasingly overvalued in terms of hard money currencies and gold, European governments began more and more to exercise that option. The gold standard check was coming into use; hence gold flowed steadily out of the U.S. for two decades after the early 1950s, until the U.S. gold stock dwindled over this period from over $20 billion to $9 billion. As dollars kept inflating upon a dwindling gold base, how could the U.S. keep redeeming foreign dollars in gold—the cornerstone of the Bretton Woods system? These problems did not slow down continued U.S. inflation of dollars and prices, or the U.S. policy of "benign neglect," which resulted by the late 1960s in an accelerated pileup of no less than $80 billion in unwanted dollars in Europe (known as Eurodollars). To try to stop European redemption of dollars into gold, the U.S. exerted intense political pressure on the European governments, similar but on a far larger scale to the British cajoling of France not to redeem its heavy sterling balances until 1931. But economic law has a way, at long last, of catching up with governments, and this is what happened to the inflation-happy U.S. government by the end of the 1960s. The gold exchange system of Bretton Woods— hailed by the U.S. political and economic Establishment as permanent and impregnable—began to unravel rapidly in 1968. Murray N. Rothbard  On the two-tier gold market, see Jacques Rueff, The Monetary Sin of the West (New York: MacMillan, 1972). IV. The Monetary Breakdown of the West 7. Phase VII: The End of Bretton Woods: Fluctuating Fiat currencies, August-December, 1971 On August 15, 1971, at the same time that President Nixon imposed a price-wage freeze in a vain attempt to check bounding inflation, Mr. Nixon also brought the postwar Bretton Woods system to a crashing end. As European Central Banks at last threatened to redeem much of their swollen stock of dollars for gold, President Nixon went totally off gold. For the first time in American history, the dollar was totally fiat, totally without backing in gold. Even the tenuous link with gold maintained since 1933 was now severed. The world was plunged into the fiat system of the thirties— and  worse, since now even the dollar was no longer linked to gold. Ahead loomed the dread spectre of currency blocs, competing devaluations, economic warfare, and the breakdown of international trade and investment, with the worldwide depression that would then ensue. What to do? Attempting to restore an international monetary order lacking a link to gold, the United States led the world into the Smithsonian Agreement on December 18, 1971. What Has Government Done to Our Money? countries to continue to buy dollars in order to support the dollar at an overvalued rate. In little over a year, the Smithsonian system of fixed exchange rates without gold had smashed apart on the rocks of economic reality. About the Ludwig von Mises Institute . . .
Report "What Has Government Done to Our Money?"